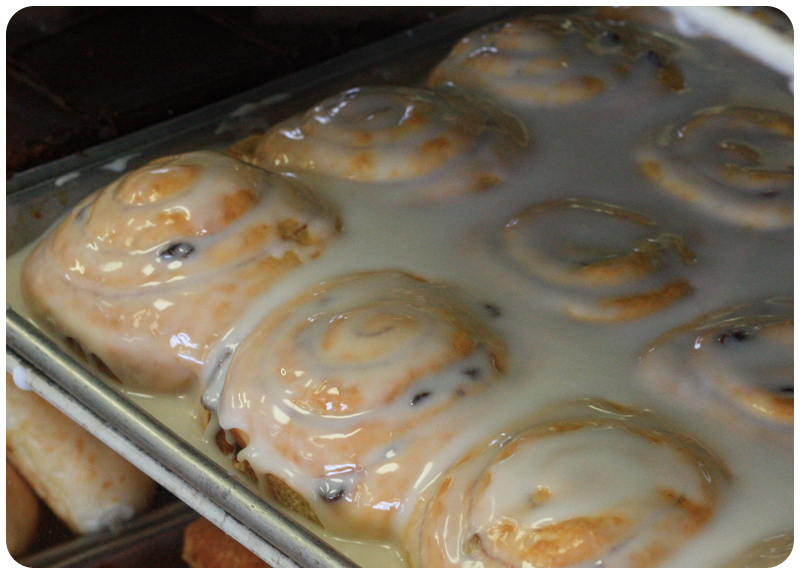 CloverSnacks: Dom Bakeries in Ypsi | Clover Eats! I love a good donut, and Dom’s never fails to deliver. It’s a bit of a drive to get there, but there are always delicious donuts available. 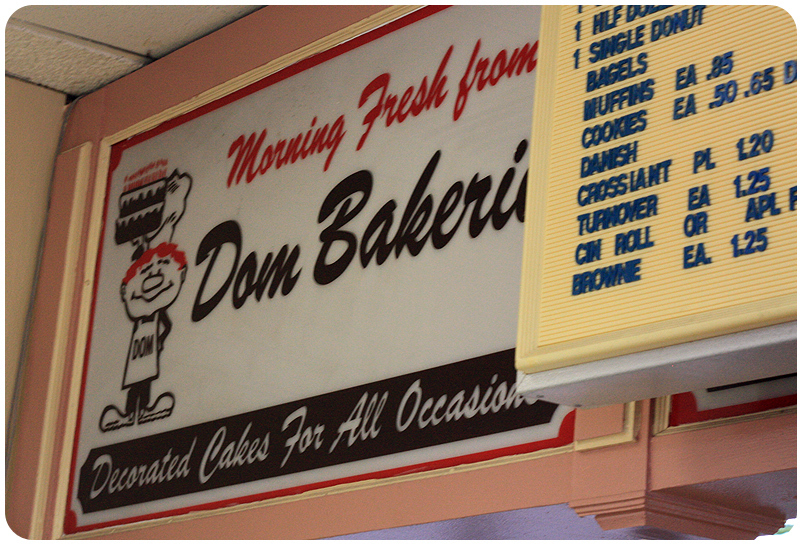 Dom’s has an interesting schedule – rather than waking up early to make donuts in the morning, they start making their donuts in the evening. They have a 24-hour drive-through, but only accept cash. They’re very affordable as well. I’ve heard great things about their apple fritters, but haven’t tried one myself. I can’t decide if I like them or Washentaw Dairy more. Check them out on Yelp! 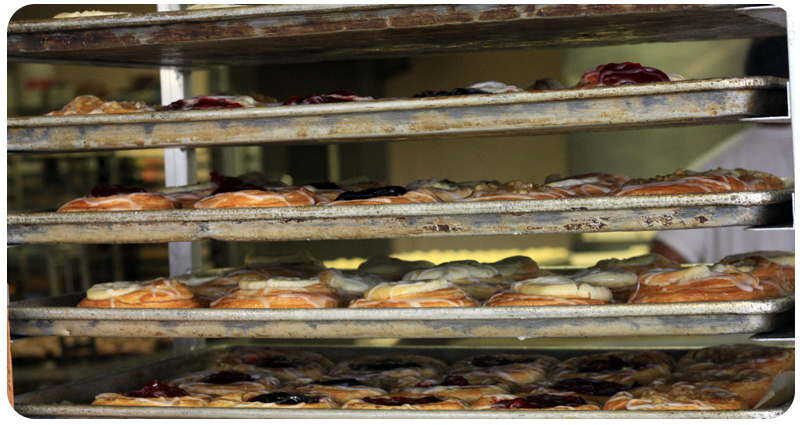 Pingback: CloverEats: Washtenaw Dairy in Ann Arbor | Clover Eats!